TOWNVILLE, S.C. -- A teenager opened fire at a South Carolina elementary school Wednesday, wounding two students and a teacher before the suspect was taken into custody, a law enforcement officer said. Authorities said the shooter apparently shot his father to death before shooting the teacher and two students. Anderson County Coroner Greg Shore told the Anderson Independent Mail that the students do not appear to have life-threatening injuries. The unidentified officer who spoke to reporters on live television said all other students at the Townville Elementary School were safe following the shooting and that parents are being told to pick up their children at a nearby church. 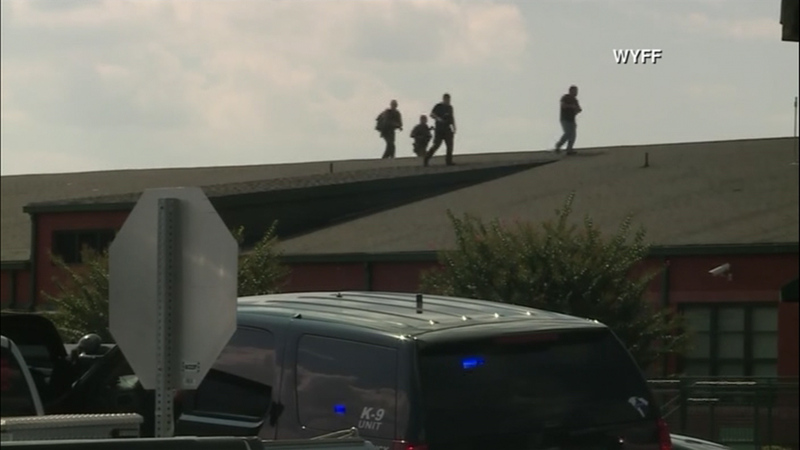 Television images showed officers swarming the school. Some were on top of the roof while others were walking around the building. Students were driven away on buses accompanied by police officers. The school is in a rural area near Lake Hartwell, which is located near Interstate 85 and the Georgia state line.